It’s always tough getting the perfect balance between making something totally awesome and legal. Well the new SLN Euro Nymph Line rides that fine line right to the edge. 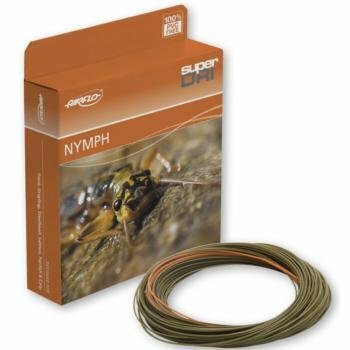 This super thin specialist nymph line is FIPS Mouche competition legal and built on a non stretch core for maximum feel. At only 0.60 mm in diameter, It also features our Super-dri coating so it floats extremely high, and is far more durable compared to PVC or mono-filament based nymph lines or french leaders. The line is stealth olive on one side, and the other end has a flo-orange tip - so you can pick the colour you want to fish dependent on stealth requirements and light conditions. Ultra neat micro welded loops make tippet attachment simplicity itself.